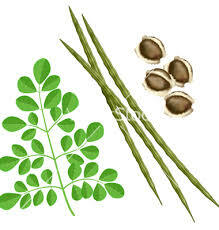 Moringa Oleifera,a well-known plant found in tropical and sub-tropical regions of the world. It originally grows in Africa, the Himalayan region and parts of South-East Asia. Nonetheless, this plant has recently become a big hit in the USA and Europe because of the variety of health benefits and its nutritional value. It contains an essential minerals and is an excellent source of protein, vitamins, beta-carotene, amino acids and various phenolics. Moringa increases energy levels without the stimulation of caffeine, as well as promoting weight loss.